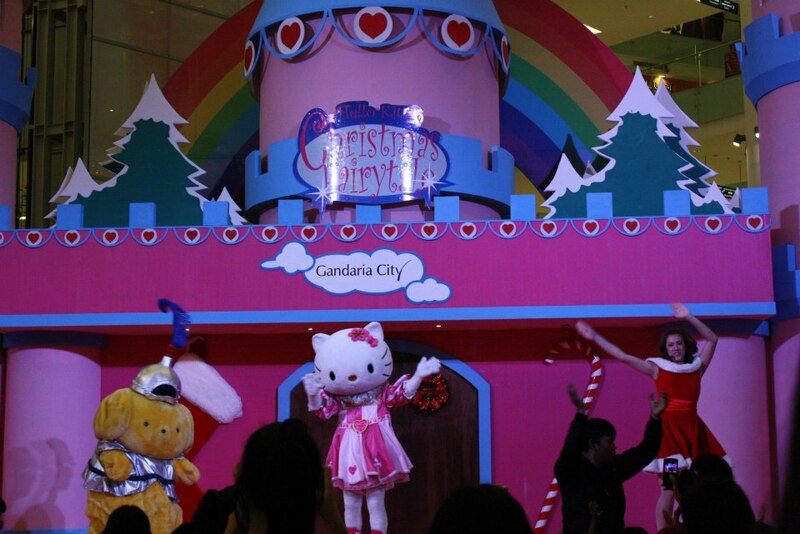 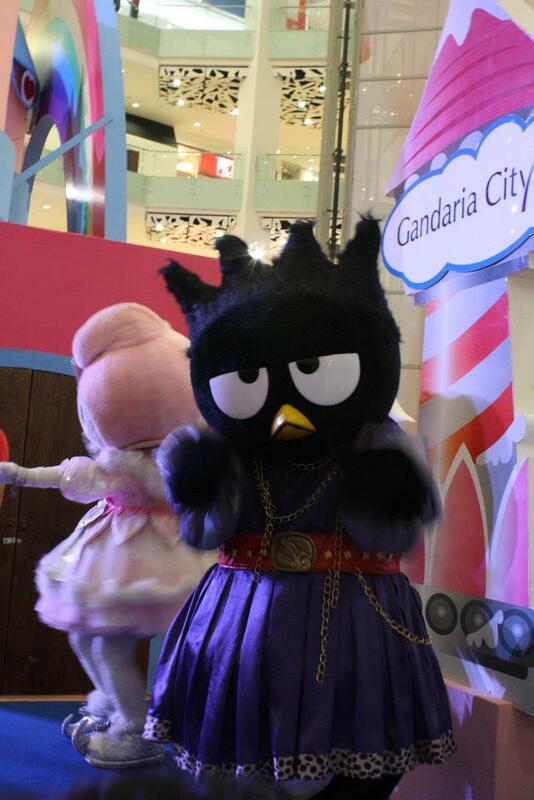 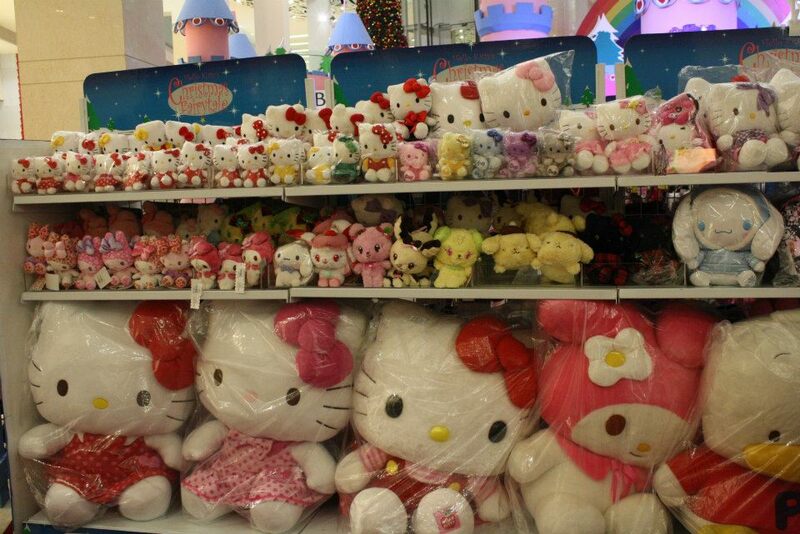 Previously I visited Hello Kitty town in Johor, but in this month hello kitty come to my country and held a Christmas time celebration at Gandaria City. 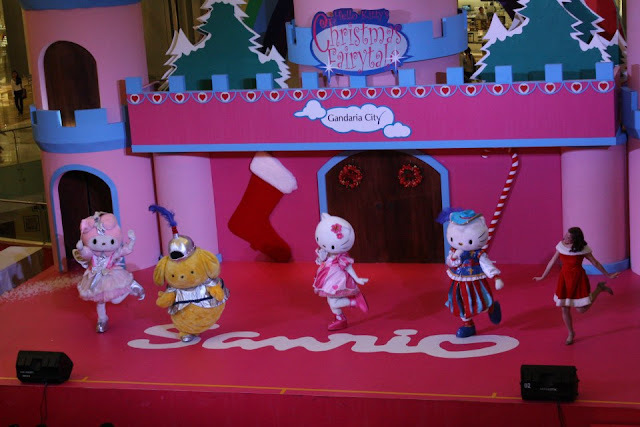 Along with her friends Dear Daniel, My Melody, Bad Badtz Maru and Pom Pom Purin. Since I busy overtime at the office, so I just have time to visit the show on the weekend. 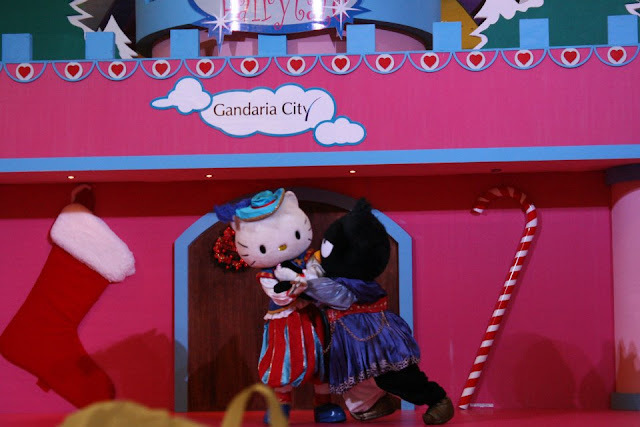 The show presented the story about Princess kitty and Prince Dear Daniel who had a dream about white Christmas but they were sad since there were not snow in the castle. 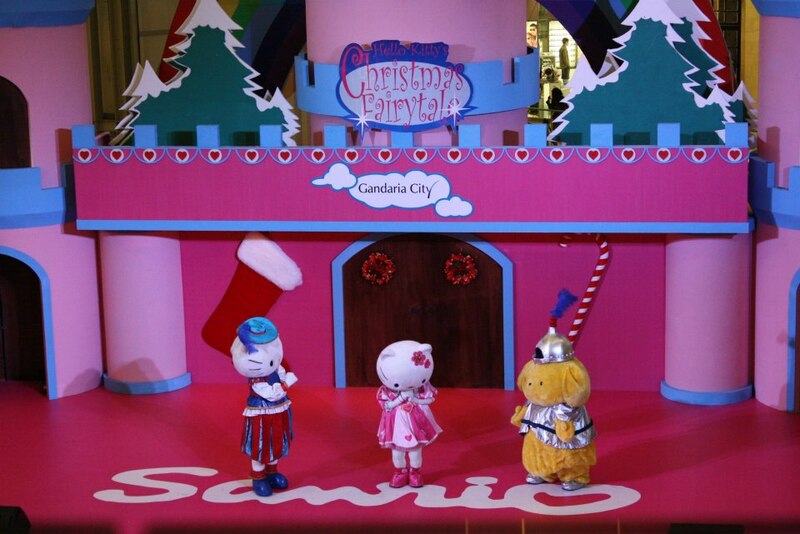 My Melody as a fairy godmother came to give Kitty a magic bracelet as a gift. She said that bracelet could make kitty's dream came true, So Kitty prayed and asked for white christmas, suddenly the snow fell down (actually it was a bubble sprayed from a machine, hihihi). On the night when Kitty, Daniel and their guard Purin sleep, Bad Badtz Maru came and stole the bracelet and escaped from the castle, but don't worry Daniel finally succeed to take the bracelet back, and give it to Kitty.